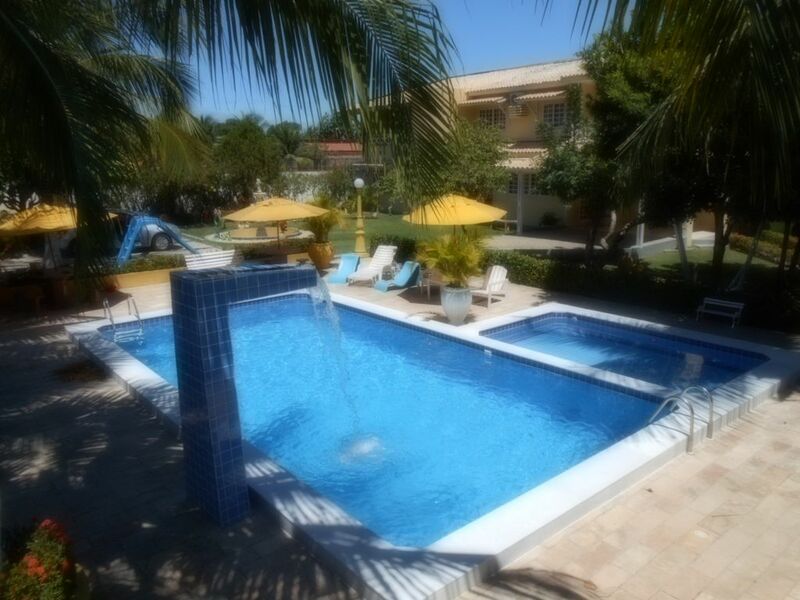 Beautiful leisure house situated 10 km from the city of Marechal Deodoro in the village of Massagueira and 15 km from Alagoas?s state capital city, Maceió. It is a cosy place with infrastructure just to serve you. Four bed-roomed house, with two suites, small fridge, closet, veranda, large kitchen, swimming pool with a cascade for adults and a swimming pool for children, illuminated football court; open-air showers, electric barbecue grill, two sheds, playground, house keeper and a beautiful garden (please visit site: ?). 15 Km from Maceió, 2 Km from Saco beach and 5 Km from Francês beach and 200m from a lagoon banks. It is situated in Alagoas?s largest gatronomic Center. It is a stone throw away from bars, restaurants, pizza houses, bakery and drugstore. Boat ride service available to 16 islands of the Mundaú-Manguaba estuary system.